This Red Oak Wooden Katana is a fantastic wooden replica of the actual sword that the samurai are famous for wielding. The wooden blade has a subtle curve that compares to the iconic image of the katana in ancient Japan. 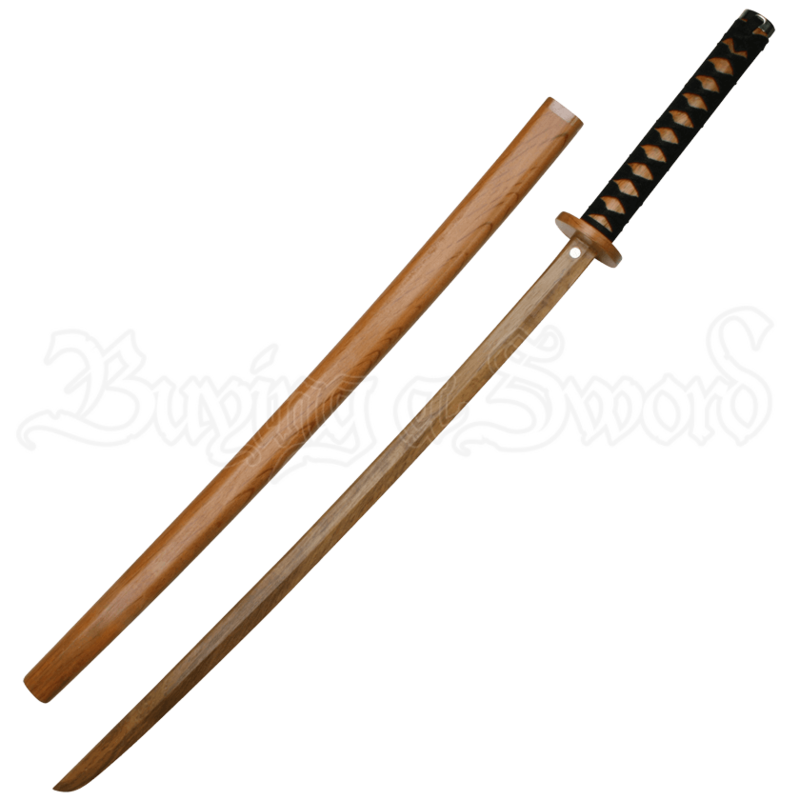 Made from attractive red oak, this sword is a beautiful recreation with attentions paid to the dominant details. The tsuka (the hilt or grip) is wrapped in black cloth, the tsuba (the guard) is appropriately shaped, and it even comes with a matching saya (scabbard or sheath). Attractively crafted, this blades wood grain is rich and lively in shade, which makes for an all-the-more appealing replica in the end. 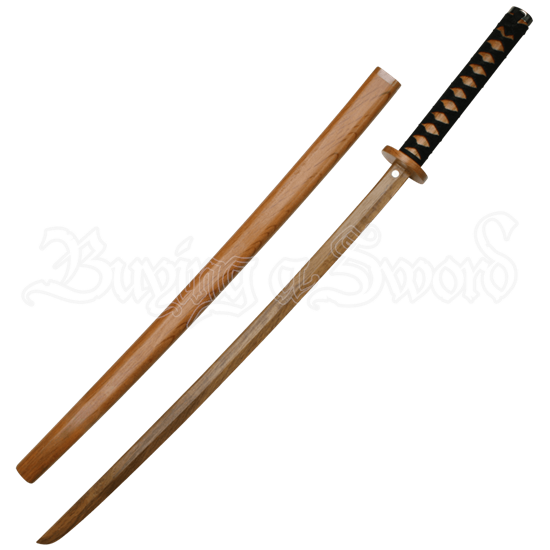 Perfect for the martial artist or enthusiast who is not only looking for an attractive item to add to their collection, but a wooden replica with which to train solo, the Red Oak Wooden Katana is an absolutely beautiful replica sword rendered in wood that is sure to drop jaws and turn heads. Please be aware that the color of the Red Oak Wooden Katana can vary, as it is crafted from real wood. I bought the wooden Katana for a cosplay that I'm currently working on-- and I appreciated that this wooden model actually comes with a sheath. You don't see that often. Its honestly just a clean, bare-bones wooden katana with a black grip-- but I bought the wooden model so I could paint and finish the sword to my own liking for the costume. The feel is nice in hand, it's well made, sturdy enough to take blows, and VERY light-- perfect for prop use and cosplay. This was exactly what I needed, definitely a recommended buy.